BANOR has been present on the market since 1989 as a private banking vehicle for a group of banks in northern Italy. It was bought out in 2000 by a group of private investors and managers led by Massimiliano Cagliero, BANOR’s current Chief Executive Officer. The goal of Massimiliano Cagliero and his partners was to create an independent private banking hub in Italy that would put value investing principles into practice. With offices in the heart of Milan and Turin, Banor SIM is now one of Italy's leading securities firms. It specialises in capital management and advisory services for high net worth clients. Over time, the experience and independent views of Banor SIM’s managers have helped build unique relationships in the international capital markets. These relationships have made BANOR a beacon for many foreign investors who intend to invest in Italy or who are simply seeking an independent view of the Italian market. We have strong relationships with top international investors. Banor’s team of managers and analysts research each security directly. They also draw on external sources selected for their credibility, reliability and impartiality. Regular meetings with companies’ management teams and with top global investment managers are key ingredients in the recipe for success that we have developed over the years. With offices in Milan and Turin, we are a tried and tested team of 76 members. Banor SIM has grown exponentially over the years, thanks to the outstanding experience, expertise and dedication of its team – a team that has been working successfully together for over 15 years. These qualities have enabled us to build a business model that hinges on listening to customers and paying close attention to their needs and satisfaction levels. 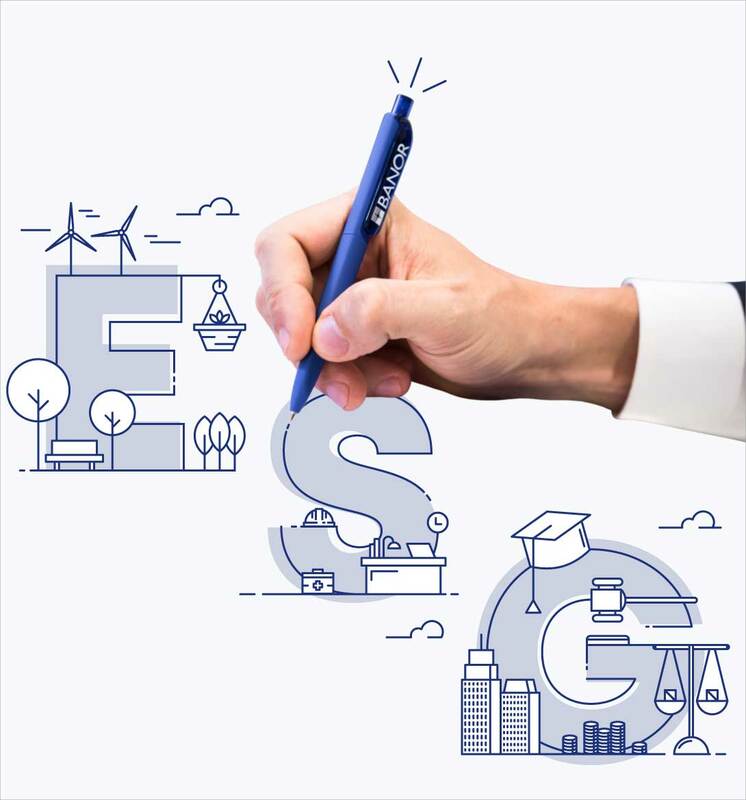 We apply a model that we developed in-house to evaluate environmental, social and governance (ESG) sustainability when selecting securities. This “best-in-class” model is designed to identify best practices in the sectors concerned. In 2013 we obtained certification under the Global Investment Performance Standards (GIPS) scheme for the performance of our funds since 2004. We’re one of the very few Italian asset management firms to hold the certification, issued by PricewaterhouseCoopers. Banor SIM has joined the Sustainable Investment Forum, known in Italy as the Forum della Finanza Sostenibile, or FFS, with the aim of fostering a greater awareness of sustainability. The FFS is a non-profit, multi-stakeholder organisation founded in 2001. Its members include operators from the financial community and other organisations interested in the environmental and social effects of financial activities. The Sustainable Investment Forum’s mission is to promote and support the inclusion of environmental, social and governance criteria in investment policies and processes. Since 2012 the FFS has been promoting and coordinating Sustainable and Responsible Investment Week (SRI Week) in Italy (www.settimanasri.it). At the international level, the FFS is a member and board member of Eurosif, an international organisation whose mission is to promote financial sustainability in European markets. Find out more: www.finanzasostenibile.it. BANOR SIM is a securities brokerage firm whose core business is individual portfolio management. Banor SIM and its partners are shareholders in Banor Capital Ltd, a UK-registered management company and investment manager for Banor Sicav and Aristea Sicav, Luxembourg-registered open-end investment firms. Banor SIM is also Banor Capital’s advisor for the management of the Banor Sicav and Aristea Sicav sub-funds.